As you all know, Asset Intelligence Network is a great tool to manage your assets. But to get even more out of it, I want to show you how you can integrate Time Series Data from the Leonardo IoT Foundation in AIN. Before you can start you need an AIN system and an Application Enablement tenant. In addition, both systems should be connected to each other. To create this connectivity you can follow one of my other blog posts. There you’ll find an explanation of how to create the connectivity and the links to the official documentation. 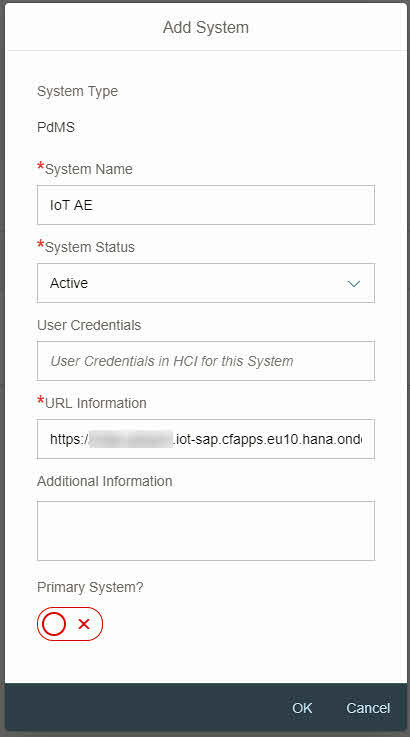 In the other blog post I’m not explicit talking about AIN, but as AIN runs on SAP Cloud Platform Neo you can still follow the explanation there. 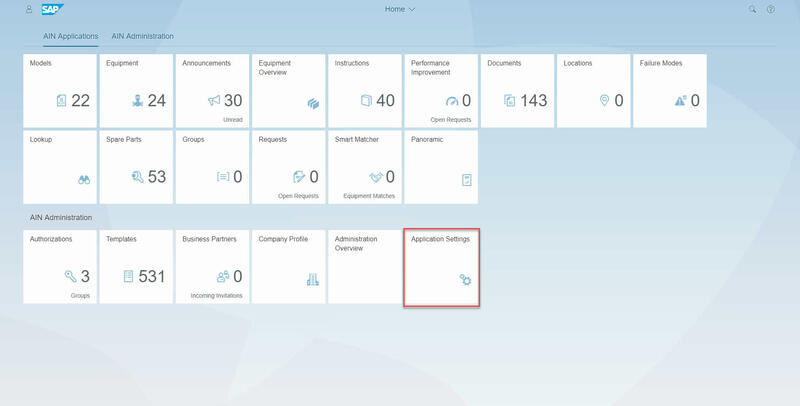 First, you should add Application Enablement as an external system in AIN. Go to the AIN launchpage. Open the Application Settings app. Next, click on External Systems, click Add and select PdMS. Of course, we are not adding an PdMS system. Unfortunately, AE is not available to select here. But no worries, it will work with PdMS. Enter your AE system information. Now we have the AE System information in AIN. Next step is to create a Thing in AE. As everybody will have his own Thing Type according to your actual device, I don’t show those steps here. Please refer to the Thing Modeler documentation. After you created your Thing please note down the Thing Id, as we need it in the next step. Go to the Equipment app. Create a New Equipment or select one you’ve already created. The Equipment page will open. Click on External IDs. Click Add, select the system we configured in the first step and enter the Thing Id as External ID. Now your systems are set up. 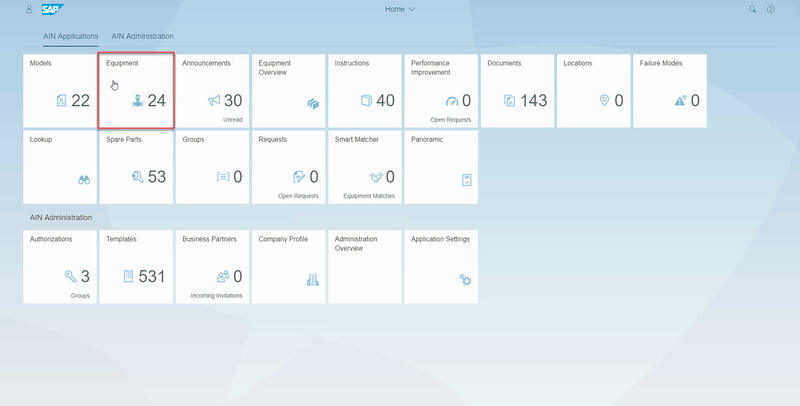 Next step is to create an extension app in SAP WebIDE to visualize the data. Please follow the second part of this blog post, to do it.